Based of a research program from Ecole Polytechnique (French Leading Engineering School) and UC Berkeley, Universal Reward Protocol leverages blockchain, IoT and AI technologies to transform the way customer loyalty programs and reward ecosystem work. Universal Reward Protocol is a blockchain-based protocol where retailers can reward shoppers for multiple behaviors like simply visiting the store. By accepting to share their shopping data with the network, a shopper earns reward tokens, while the data is used by retailers to build redemption offers that best suit each customer’s needs. Shoppers can then redeem their tokens through these exclusive and personalized offers. A dApp like Occi can be used as a Proof-of-Behavior in this Protocol to reward in-store activity using the IoT and AI technology build and installed with some of the largest retailers worldwide. Shoppers can finally enjoy all the benefits of a fully customized, omni-channel customer universal reward program, portable across all their favorite retailers. All with each customer’s privacy as a priority, and with the full transparency of blockchain technology. "Based of a research program from Ecole Polytechnique (French Leading Engineering School) and UC Berkeley, Universal Reward Protocol leverages blockchain, IoT and AI technologies to transform the way customer loyalty programs and reward ecosystem work." Where is this research published? In which journal paper? I like this project. The roots in Transatlantic academia interesting (Spinning off a research project out of UC Berkeley and Ecole Polytechnique in 2015), as well as the current client base for the forerunner called Occi which has been picked up by some major retailers. Whitepaper is strong and well written. Video is good. Getting paid for sharing data with retailers is smart. Very intriguing project indeed. Simple yet effective presentation video, clear Whitepaper and Vision. Firstly, the team is mature, experienced and confident that they will successfully complete this concept and turn it into a reliable product. Secondly, sharing data around this blockchain ecosystem can prove to be very useful especially in the very near future and this is something that will attract a very large number of people, and I’m not talking just about crypto members but people from all around the globe from different backgrounds. I believe that the reward system via the smart contract will be the main element that will pull most of this projects enthusiasts. The problem comes done on adoption issues, since a vision alone is not enough. Very good team with lots of experience in marketing, business strategy, IT, Fintech and more in the core team, quality advisors and support team. Company started in 2015 and has a working product (OCCI) and reliable partnerships like Auchan and Carrefour (Big supermarkets in Europe) and support from Berkely and Ecole polytechnique from Paris. Data is a big business and Supermarkets and retailers will find themselves in the vision URP explained. 40%of tokens for sale is a bit low compared with the good industry standard. - Bonne équipe qui a de l'expérience dans son domaine. - Etre rémunéré pour effectuer des actions. - URP permet aux shoppers de décider avec quels détaillants ils veulent partager leurs données. - Combine la blockchain et la technologie IoT. - Ils ont des partenaires fiables. - Peut attirer un grand nombre de personnes grâce à son système de récompense même pour les "crypto-sceptiques". - Il y aura un système de réputation qui permettra de reconnaître les bons et les mauvais acteurs. - Le bounty n'est pas qu'un simple "like fb" et "mettre des bons commentaires, ils demandent de vrais actions comme répondre à un quizz, ou rédiger un article ou une review. Cela évite d'avoir un projet faussement coté. - Projet français (pas vraiment un point positif mais c’est toujours bon de le citer). - Il sera possible pour shopper de recevoir un virement en euros plutôt que de rester en URP. - Pas encore de MVP (mais devrait arrivé bientôt et a déjà un produit fonctionnel). - Devra avoir une stratégie forte pour créer une communauté de shoppers et de retailer. Good concept and great team, but the execution and mass adoption will take too long. The positive side is that partnerships seems to be already signs with 2 of the biggest retail / grocery shops in France. Filed two patents on proprietary algorithms (FR1656748 and FR1654618). Presentation of URP to brands and retailers. Refinement of the protocol based on their expressed needs. Design of the architecture of URP protocol. Preliminary partnerships discussions with consumer brands and retailers. Release of the White Paper. Mockup of the retailer interface and the shopper app. Release of UX/UI of the retailer interface. Release of UX/UI of the shopper interface. Release of URP MVP : Smart Contract Templating and Campaign browsing. Letters of intent from known retailers and brands. Alpha release of URP : Proof-of-Behavior specifications. Integration with a self-sovereign identity service (SSIS). Development of the shopper app. Development of the retailer interface (Campaign Manager). Launch of pilots on the testnet for onboarded retailers and brands. Integration of other dApps on the testnet. Bounty campaign for beta testers. Publication of first pilot results. Marketing campaign aiming at large-scale shoppers adoption. 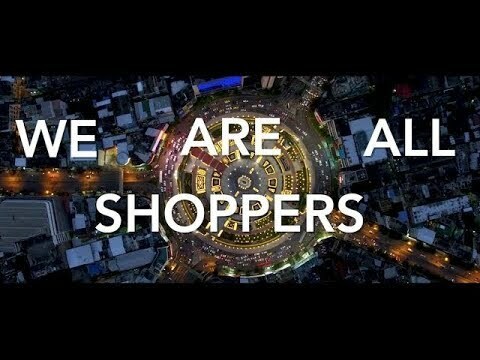 Launch of the shopper app on application stores: tokens are used to reward any shopping behavior that can be certified by the dApps implementing URP. Deployment of URP to early adopting brands and retailers. Other dApps join the protocol to reward all behaviors on mainnet. Start of international expansion in Europe and China. - International expansion to North & South America. - All facets of shopping behavior can now be rewarded through URP.